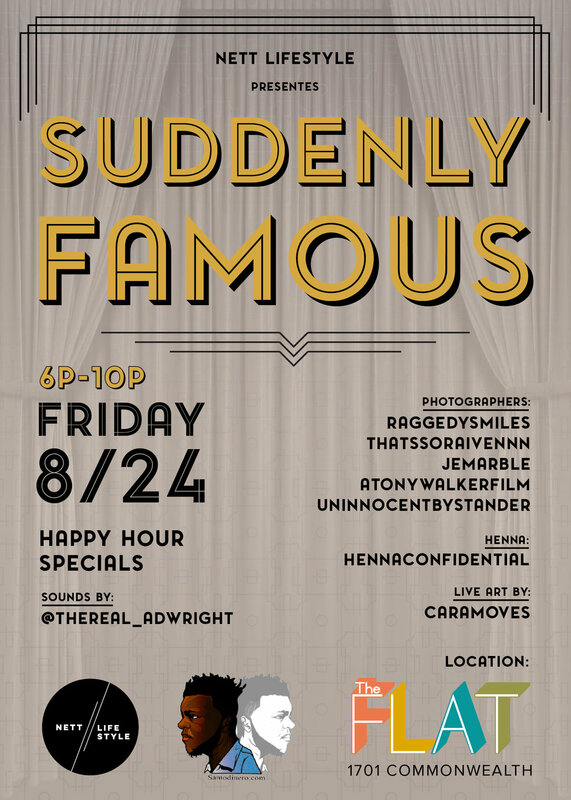 Come out and meet the Photographers behind the lens at @theFlathouston presented by @nettlifestyle & @samodinero Friday 8/24. Details above!! Our main goal is to give back to Houston and help support the young creatives that are in our communities. 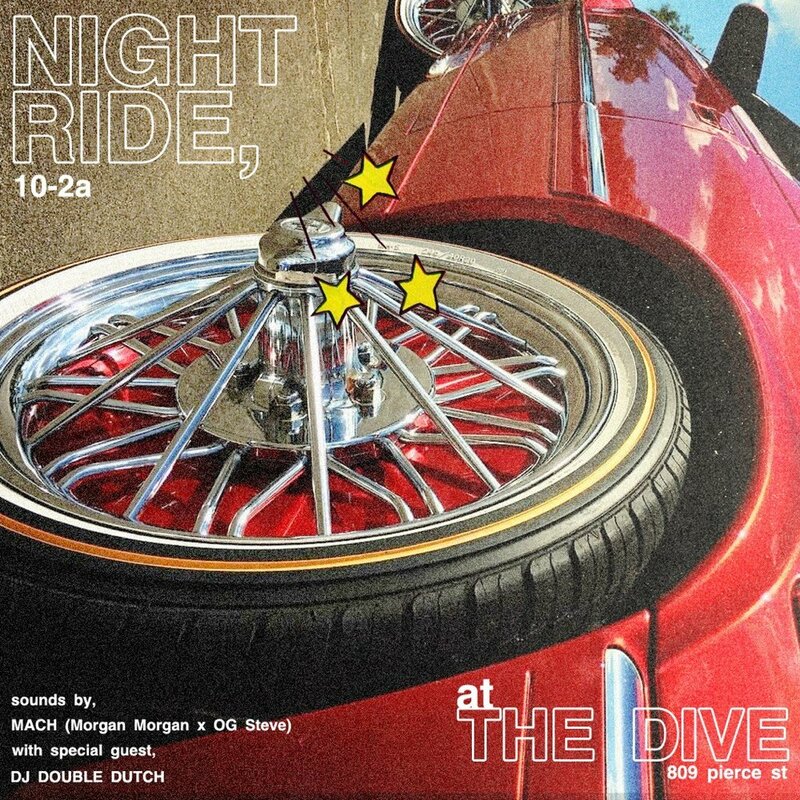 Night Ride provides a range of music from Playboi carti, Frank Ocean, Young Thug, Sade to new and old remixes. It's defiantly a studio 54 vibe with the wavy vibes of trap music, house music, reggae and Hip-hop/R&B. 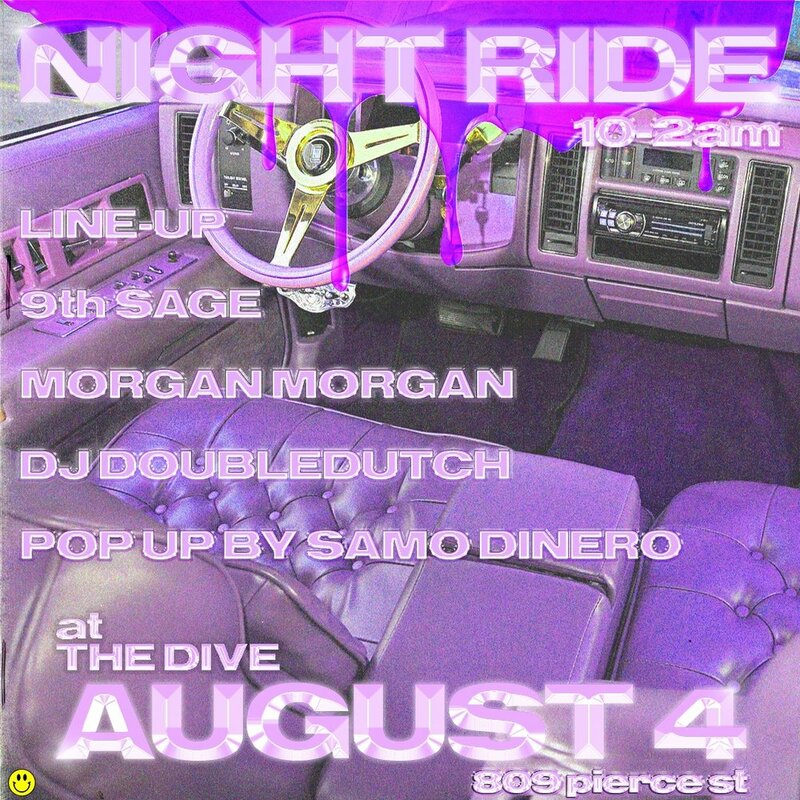 Night Ride is the place you know what to expect at our events, but still will be consistently surprised so come with an open mind, leave with a night of memories; see you at Night Ride, friends. Our main goal is to give back to Houston and help support the young creatives that are in our communities. 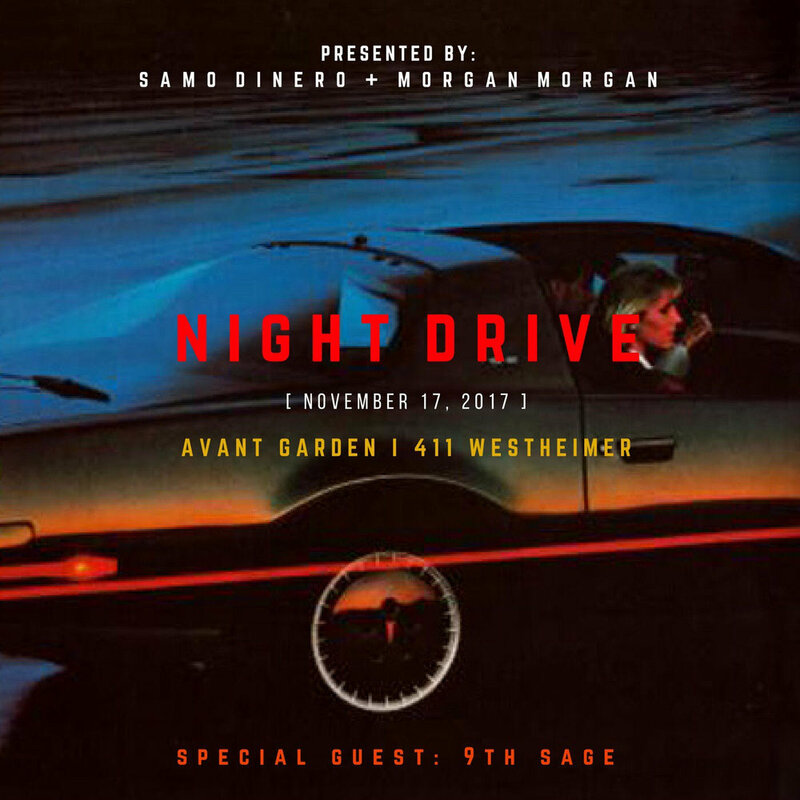 A cultural experience guided by selected tunes from Morgan Morgan and special guest ranging from Hip Hop/Rap, Trap, Instrumentals House, Afro Beats, Baile Funk, Future Bass, R&B Soul, Disco, and French Electronic Music. Interiors Design of Destination provided by Samo Dinero selected pop up shops where our passengers can shop for hand-selected gear from local brands. You are graciously invited to come join and network with entrepreneurs such as (Designers, stylists, models, Musicians, Etc). We are anticipating an enjoyable night, with Pennie Anassi (IG:@Penniepeace) as the Host of the mixer with SOUNDS BY Kay Illah (IG:@the_kay_illah) with LIVE PERFORMANCES BY Erva Carter (IG:@ervacarter), Mickey Woods Jr. (IG:@Mickeywoodsjr), The Aspiring me (IG:@theaspiringme), DJ SETS BY Morgan Morgan (IG:@MxrganxMxrgan) and 9th Sage (IG: 9th Sage), Gen (IG:@dontaskgen) and Izzar Thomas (IG:@izzarthomas) Will also have vendors from Dinero's Closet, MAW Supply, Lost Pieces Voutique and Live Art by Free Mindz. This event is completely free of charge. Feel free to share this event with friends and family. Please, We ask you to donate lightly used Sneakers and Clothes to the event so we can give to the less fortunate here in Houston. You are graciously invited to come join and network with entrepreneurs such as (Designers, stylists, models, Musicians, Etc). We are anticipating an enjoyable night, with Pennie Anassi (IG: @Penniepeace) as the Host of the mixer with Sounds by Yobi Yobz (IG: @omgitsyobi) Also, will have an art showcase from Art by Kimmiski (IG: @Kimmiskiart). Porterie Boutique (IG: @Shopporterieboutique), Vintage Steez (IG:@Vintage_steez), Dinero's Closet (IG: @dineros_closet), Clutch Art (IG: @Clutchart1991) D'orse'y (IG: @Dorseyledesignerco) and Kyra (IG: @Kyraclothing) also have a Pop-up shop. Also, will have a live performance by Flyger Woods (IG: @Flygerwoods), OG Che$$ (IG: @ogch3ss), Peyton of Milky Wayv (IG: @bbypeyy), Tim Woods (IG: @Therealtimwoods) Jon Rambo X UCEF (IG: @jon.rambo & @_ucef) and Wolfe De Mchls (IG: @wolfedemchls) This event is completely free of charge. Feel free to share this event with friends and family. Please, We ask you to donate Winter Clothes, Socks, shoes and Blankets to the event so we can give to the less fortunate here in Houston. The day before Halloween come enjoy a nice daytime event at @kingscourthtx from 3pm-8pm | we're also still looking for more vendors email me at samuel@samodinero.com for more information. You are graciously invited to come join and network with entrepreneurs such as (Designers, stylists, models, Musicians, Etc). We are anticipating an enjoyable night, with Audio Styling by Mentoz Fresh (IG: @Mentozfresh) Also, will have an art showcase from Asiatic Youth (IG: @asiaticyouth). Vee berry Artworks (IG: @Veeberry_), God Son (IG:@ShopGodson), Dinero's Closet (IG: @dineros_closet) and AMATI (IG: @amatibrand) also have a Pop-up shop. Also, will have a live performance by Genesis Iver (IG: @Genesisiver) & Lita Styles (IG: @Litastyles) This event is completely free of charge. Feel free to share this event with friends and family. You are graciously invited to come join and network with entrepreneurs such as (Designers, stylists, models, Musicians, Etc). We are anticipating an enjoyable night, with Audio Styling by Mentoz Fresh (IG: @Mentozfresh) Also, will have an art showcase from Gallery 7 by RD (IG: @ditamontana_) and John Coleman (IG: @clutchart1991). Moonstar Clothing (IG: @Shopmoonstar and AMATI (IG:@Amatibrand) also have a Pop-up shop. 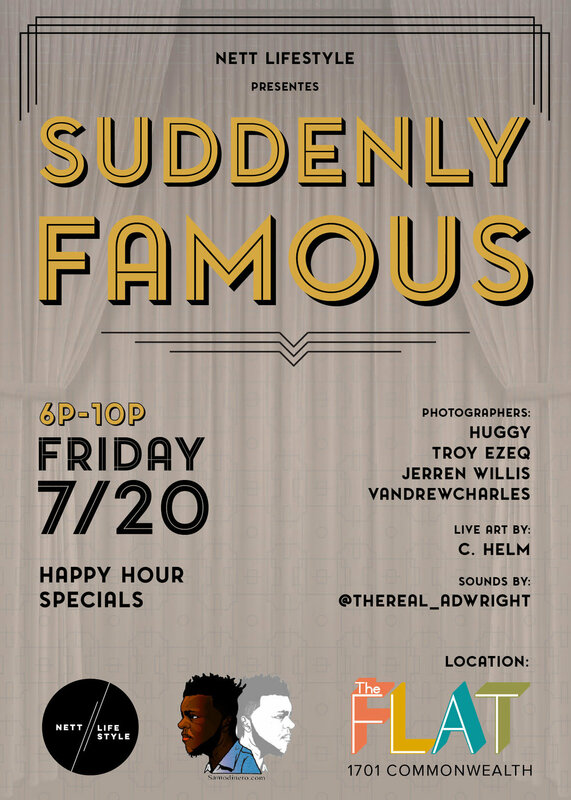 Also, will have a live performance by Tim Woods (IG: @Therealtimwoods) This event is completely free of charge. Feel free to share this event with friends and family. Please brings your business cards!! Click Here to check out the shop and make your purchase.